David Connor lives in Western Australia for part of the year and his small wine business (Sporting Wines) has been established 15 years. He deals mainly with (per James Halliday)….5 red star wineries and specialise in the Great Southern region. Davis specialise in Shiraz and Cabernets especially with a view to ageing/release at a very attractive cost and his wines are not generally known/available elsewhere. He will be presenting 12 of his chosen wines to members of the Harrogate Medical Wine Society in September 2018at the Harrogate Masonic Hall. “Working with selective vineyards in south Western Australia, Sporting Wines has been importing high quality wines to the United Kingdom since 2003. Supplying to the wh olesale,restaurant and retail sector these wines are not normally available elsewhere to UK consumers. They are produced to the highest level, ranking very highly in the renowned Australian Wine Companion by James Halliday, one of Australia’s foremost wine critics. Sporting Wines takes great care in the selection of wines that it imports from these vineyards, visiting them on a regular basis and only selecting those wines that offer the highest quality for the best value for money. Typically, these wines have a final retail price of between £8 and £20. 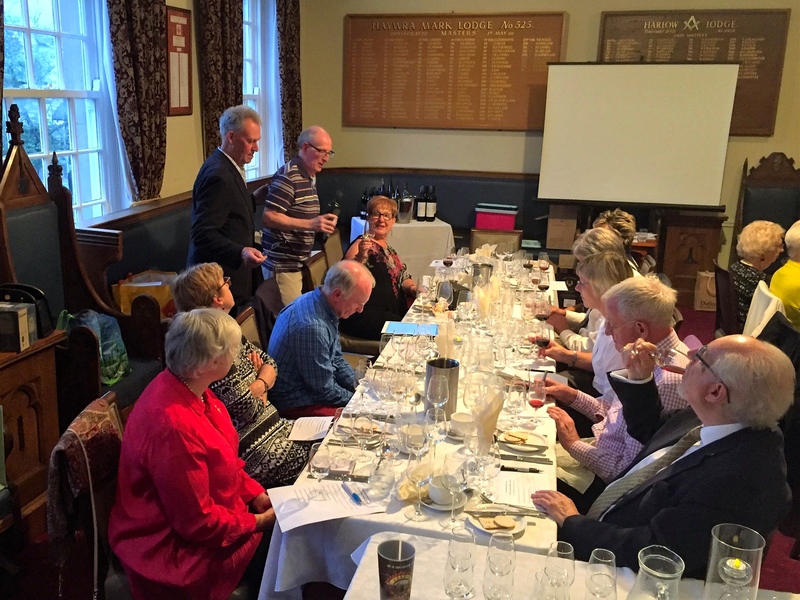 The tasting was followed by a two course supper prepared by Adam Vear of the Masonic Hall. Traditional prawn cocktail with buttered granary bread, slow cooked brisket of beef with horseradish mash and a red wine jus and creme brûlée with shortbread were served with a glass of red wine.